What Is the Definition of Inner Peace? If you are wondering what is the definition of inner peace, then you can find the answer within the philosophy of feng shui. The feng shui goal is to achieve harmony within yourself and your environment. The definition of inner peace is something that philosophers and religious icons have taught over the centuries. There are many paths to discovering inner peace since there are many types of personalities in the world. No one way is the only way to reach that brilliant internal place of peacefulness. Many people turn to religion as a pathway to inner peace while others believe that spirit alone can't transport you to that realm. The latter group believes you must reunite mind, body, and spirit in order to find your personal Nirvana. This can be achieved through various forms of yoga and other physical disciplines such as tai chi. 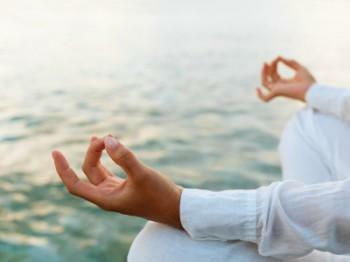 Meditation is one of the most popular avenues for discovering inner peace. You can assist these processes by living and working in the right kind of environment. The feng shui philosophy is based on the belief that you can create harmony in your life through a peaceful and balanced environment. The ancient feng shui masters studied the five elements of earth and how each one interacted with the other, beginning with the first drops of rain (water) from the heavens that fed the vegetation (wood) that fueled the fire that scorched the earth and created metal ore. This is the harmonious cycle of the planetary elements. Feng shui takes these cyclical events and applies the principles to your environment inside and outside your home. All of these activities are guided and controlled by chi energy. Like all living things, chi energy has a male and female or positive and negative balance of energies within the whole. Whenever you use feng shui principles in your home, you won't just see the results of a clean and organized home, but you'll also feel the difference. The energy that vibrates in everything has a set frequency that can be dampened or enhanced based on what surrounds it. When you free up the chi energy to move through your home, you allow the natural flow of life. This seems like an intangible quality, but if you ever step foot inside a correctly designed feng shui home, you'll recognize this peaceful harmony immediately. The best thing you can do to bring peace and balance to your life is to live in a home that is balanced and in harmony with the feng shui principles. It's much easier to find and maintain inner peace when your environment reflects the same back to you. If you don't believe this, try a brief experiment, using your home office. Empty the contents of your office waste can onto the floor. Toss files and papers into the air. Place stacks of magazines, books, and papers on your desk, on the floor. Empty a hamper of dirty clothes onto your office chair or couch. Unscrew the light bulb in your floor lamp. Now leave your office and don't return for as long as you can. When you enter your office, try to ignore the clutter and disorganization and shove some of the papers from your desk just enough to clear a workspace. Now spend several hours in your office and see how much work you can do. At the end of that time, you want to take a moment to assess the efficiency of your work and your overall attitude. Now leave your office and close the door behind you. When you return, it's time to clean up your office. Take the opportunity to clean out the closet, reorganize desk drawers and file cabinets. Dust and vacuum and replace any burned out light bulbs. Open the draperies and open the window to let fresh air inside. Leave your room and when you return, makes notes about how you feel when you enter the room. Now spend time working in your nice clean office. Later, assess how effective you were this time working in your office. This exercise will give you a clear baseline of disharmony in your environment versus a harmonious environment. This is just part of the purpose of this exercise. The next part is for you to assess how much inner peace you could maintain, much less achieve when surrounded by such a disorganized and inharmonious workspace. After going through this exercise, you can quickly understand how the natural balance of life affects your state of being. A calm green garden with the soothing sound of a water fountain can convey a sense of peace to you. This feeling is one of calmness without worry; fear or other negative emotion or thoughts are all connected. It's hard to believe that one little word, such as Om could have so many meanings. From the Hindu sacred text, Upanishads, the word Om is explained as the very first sound ever made. It is said to be the sound of creation. Other definitions include Om being the sound of silence that when meditated on bestows inner peace. Since Om is the first and last word spoke before prayers and at the end of prayers, it is a word of reverence that brings peace. You can use this symbol in feng shui applications to exert that powerful energy in a sector that needs a cleansing energy that bestows harmonious chi energy. You can place the symbol in any sector that represents an area in your life that could use peaceful energy. If you embrace feng shui principles and practices in your everyday life, you can surround yourself with a harmonious environment. This sets up an ideal ambiance to aid your quest to understand the definition of inner peace.